Whether you’re building an eLearning course independently or in a team, there is always the probability of missing something or the other in your storyboard. Team Raptivity has created a self-review storyboard completeness checklist to make your work easier. Use it to ensure that you have followed general hygiene standards across your storyboard. Download the checklist for free here. Raptivity has always been at the forefront of innovation. With its unique and useful interactivity building solutions, it has been the tool of choice for many educators and instructional designers. As a product, Raptivity has always focused on interactivity building and left content ownership to instructional designers and SMEs. But now, we are contemplating if we should unify these two activities and make the whole eLearning creation process smoother than earlier for our users. Raptivity is envisaging a new vision for the brand through its unification with the world's first AI powered platform for creating questions – Quillionz. With Quillionz, users would be able to automatically create questions through a flowing, descriptive, and informative content set, which could then easily be plugged into Raptivity, and presented as interactive nuggets. Consider, for example, an educator has a raw content set around Plate Tectonics. S(he) can just feed this content to Quillionz and question ideas set in multiple formats will be automatically produced. A course creator can then edit, improve, or delete these questions to make them Raptivity ready. This set can then be presented using any of Raptivity’s interactive quiz templates like multiple choice questions, fill-in-the blanks, true or false questions, flash cards, or any other relevant template. 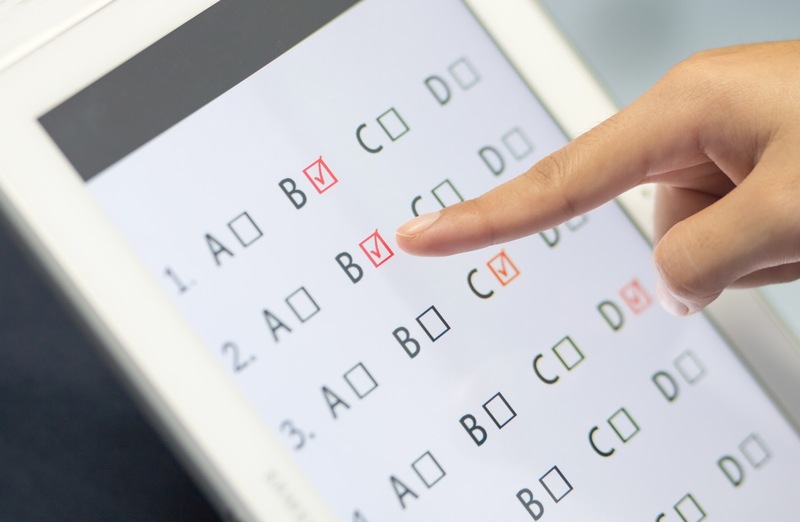 Quillionz, with its unique question building capabilities, will take the burden off educators and instructional designers to create relevant questions for assessments, saving them a lot of time and efforts. And Raptivity, like always will help them create an interactive assessment in minutes through its abundant template set. Team Raptivity plans to unveil some demoes in-line with this new vision, at DevLearn 2018. We believe it will be the most appropriate place for us to validate this whole idea and see if people find it useful. It will be interesting to see how this new vision unfolds. To witness a demo of this solution, visit Raptivity at booth #821 at DevLearn. Research indicates that worldwide revenues for game-based learning will climb from $2.6 billion in 2016 to $7.3 billion by 2021. This dramatic rise is proof enough that games are an exceptional learning aid. Since enough has been spoken about the usefulness of games for learning, I shall refrain from sharing further thoughts on the same, and instead talk about something equally significant but less explored - the usefulness of game mechanics in educational game design. We all know what points are. Simply put, they are running numerical value related to your actions. Points are generally perceived as a form of ‘feedback’ or ‘rewards’ in learning games. A game designed on the format of popular television show ‘Who wants to be a millionaire?’ is a great example of using points as rewards for motivation. Feud game show is another interesting game format that incorporates points. Players may be awarded badges once they accumulate a certain number of points. Badges fulfill the motivational need of ‘achievement’. Games that deploy simulated real life scenarios are a good candidate for this game mechanic. Provide a badge every time the player moves ahead without faltering in the scenario. A game like Classdojo also makes good use of this mechanic. It uses technology to track students’ behavior. Students can be assigned distinct avatars and can be administered either a reward/badge or consequence by the educator based on their classroom behavior. Bronze-silver-gold! Sounds familiar? Levels are systems that represent cumulative score. They fulfill the motivational driver indicating ‘status’. Jeopardy is one game format that uses levels effectively. The previously cited ‘Who wants to be a millionaire?’ is another game example which incorporates levels. These games use points and levels together to motivate learners. Players can earn some points whenever they reach a milestone, and after they have accumulated a certain number of points, they move a level higher. This is where you compete - sometimes with time limits - to overcome obstacles. A challenge when fulfilled implies ‘achievement’ of some sort. A timed crossword or jigsaw puzzle is a good example of a game format that employs challenge as a game mechanic. Memory games, Sudoku are some other examples of games that challenge learners’ recall abilities and logical thinking. Pretty self-explanatory, this game mechanic builds its way through human emotions. Excitement, humor, surprise, and happiness are some emotions pertinent to this game mechanic. A game like ‘spin the wheel’ where players spin a digital wheel and are posed questions based on where the needle rests, is a great way to leverage the emotion of excitement in a player. ‘Treasure hunt’ is another game format that builds on the emotion of ‘surprise’. Goals give clarity and purpose. They represent a pre-defined milestone that lets them gauge their own progress and feel ‘accomplished’ once fulfilled. A game narrative like ‘climb the peak’ where you draw players into the setup of a valley, where they need to climb a peak as the ultimate goal, while answering contextual questions on the way, is a wonderful example of the use of this mechanic. You want your name there - on a scoreboard showing the names or scores of the leading players. Leaderboards encourage ‘competition’. You may build a leaderboard for any game using scores, badges, levels, or goals. A casino style slot machine is a great game for leaderboard display. These leaderboards could be setup manually in your classroom or through your Learning Management System. 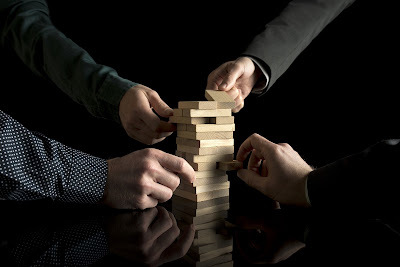 Game mechanics are the most prominent element of your game design. To be successful, they need to be selected based on a thorough understanding of the player, the mission and human motivation. Hope our game ideas come handy when you shortlist your game mechanics. Do let us know through comments below about your favorite learning games and the game mechanics used in them. 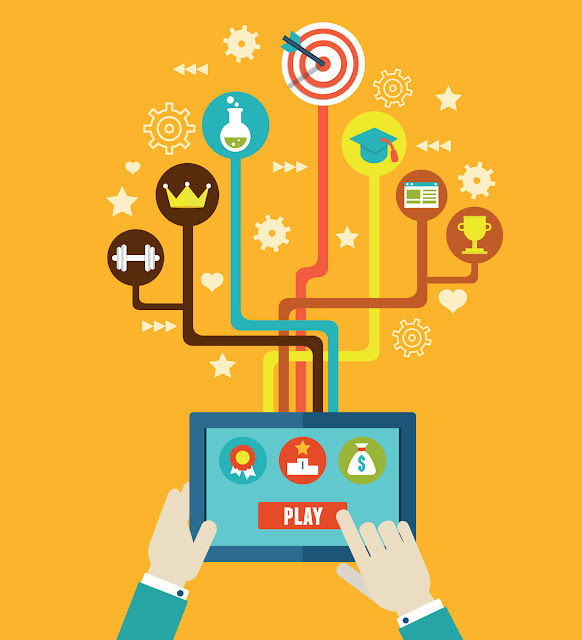 A lot of educators rely on Raptivity to build interactive games for their classrooms. Raptivity provides multiple ready-to-use game templates and incorporating a variety of game mechanics, to be used in your learning modules. To find out more about Raptivity games, take a free trial here. Do your courses need to include a quiz or a practice activity? Is it fine to build courses that don’t include tests or quizzes? Well, as an educator the choice is totally yours, but providing learners an opportunity to fail at guessing can actually improve learning quality. While, if your learners know the stuff already, quizzes can be a great mechanism to provide them credit for the same. If you believe that quizzes can do your learners some good, read on. I am going to talk about the essentials of effective learning quizzes. 1. They are made of relevant, clearly written, and easily understandable questions. The quiz questions need to align well with the course objectives. They should focus on the recall of only the material covered in your course. Additionally, the questions need to be concise; you should omit any unnecessary information that needs learners to spend their time understanding the question correctly. The idea is not to trick the learners, but assess their knowledge. 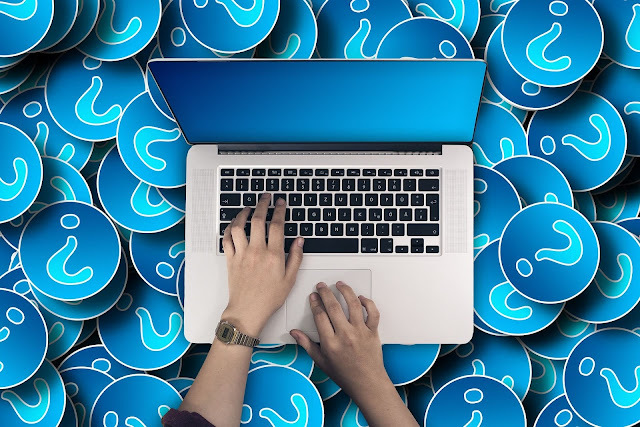 You could either draft questions manually, or take help of a tool like Quillionz question generator to automatically generate questions from your content using Artificial Intelligence technology. 2. They test the learners at the right time. Well, the fact is that there is no bad time to quiz your learners. You could quiz them anytime, at the start of the course, during the course, or at the end of the course. But the key is in knowing what purpose each of these time-points serve. Setting a quiz at the start is a great way of apprising learners of what is to come. It might make them curious and more interested in the subject. An introductory quiz also lets you gauge if learners already know about the topic that is going to be covered. If yes, then you might consider skipping forcing them through the course. A quiz used during the course can be a good way to assess whether learners need to be re-routed back to the earlier section to understand the material better, or just reinforcing main ideas from that section would help. Such quizzes can be planted every time after logical chunks of content have been presented. A quiz at the end of course can of course be used to assess learners’ understanding of the entire content presented in the course. 3. They comprise appropriate answer choices. Answer choices should challenge the learner to think through what they have learned. Of-course if the learner makes the wrong choice, feedback should help them get back on track. More on that in the next point, but as far as answer choices go, go for options that urge the learner to recall the entire concept. A limited set of clear and distinct answer options is all that you need. Don’t be too inclined towards using too many True or False kind of answer options since they cannot judge the learner’s knowledge levels precisely. Avoid using ‘all of the above’ or ‘none of the above’ as options. Be consistent with the format for all answer options (length, grammatical parallels, etc.) For multiple choice questions, prefer to use serious distractors. 4. They provide meaningful feedback. Feedback is critical. It can have both motivational and educative value. Providing well-crafted feedback in the moment-of-learning is invaluable. Make sure your feedback is courteous and crisp, yet explains what the correct answer is. Even if the learner answers correctly, your feedback can still reinforce why it is correct. 5. They are presented in a relevant and interesting format. It is always a good idea to use compelling quiz formats to cater to varied learning styles and to engage everyone well. You could evaluate different quiz presentation ideas ranging from drag-drop, multiple choice questions, trivia, fill-in type questions, true or false, open-ended questions, flash cards, game-show style quizzes, etc. Some of these formats are perfect for digital quizzes while others could be used in both classroom and digital settings. Choose the format that best measures your students’ cognitive ability for that subject. Another factor to consider when selecting a format is how much time the students will have to take the test. Open-ended or descriptive questions might not be appropriate for larger classrooms or situations where a large number of students are involved. Once you have decided on including a quiz in your learning module and thought through all the above scenarios, you could build it using a quiz building tool or a comprehensive interactivity building tool like Raptivity. In addition to quizzes, Raptivity provides a plethora of other templates ranging across categories like games, simulations, presentations, and assessments. How do you build your learning quizzes? Do you follow specific guidelines? Feel free to share your thoughts through comments below. As an educator, don’t you strive to create slideshows that can excite, engage, and educate your students in one go? But how many times has it happened that you built a presentation and thought that it needed to be improved? PowerPoint Labs is a wonderful add-in that is aimed at helping users with creating better effects and animations in their slides. It is specifically great for educators or professors, with its neat transitions and zooming effects. You could use it to light up specific objects using spotlight, highlight bullet points, slide segments or backgrounds, crop out part of an image without using an image editor, and drill down to important details using the magnifying effect. With its nifty features to spruce up presentations, PowerPoint Labs is a must-have in your add-ins library. As on today, this add-in is free and works with PowerPoint version 2010 and above. You can download it here. If you are not pleased with the limited selection of default graphics PowerPoint has to offer, then you are going to love ShapeChef - a graphic and chart library add-in. ShapeChef offers high-quality PowerPoint graphics, charts, and icons for your presentations. You can make use of ShapeChef's instant search feature to find the graphics you're looking for. It even lets you save and categorize your own creations. This add-in integrates a library pane into the PowerPoint window, which allows you to download their graphic collections and organize your assets. ShapeChef’s trial version comes with a limited number of shapes and can be downloaded here. To access the entire shapes’ library, you may check out their full version pricing here. Are you forever on the lookout for relevant images to add to your presentations? Well, there is definitely something amiss if you are not. But if you are on the right track, then you need to check out Pexels. It is one of our favorite image libraries for completely free stock photos. All photos are tagged, searchable and also easy to discover through their discover pages. This add-in is a huge time-saver for anyone searching for and adding images to their decks. You don’t even need to open up a web browser, simply open the add-in within PowerPoint after you are done installing, find your image and click on it. It is a free add-in available on the OfficeStore, you may download it here. PPT2HTML5 converts your PowerPoint content to HTML5 with the guarantee to maintain the quality of animations, transitions and other special effects connected with the original PowerPoint presentation. You can then use your online presentation on iPad, iPhone and other devices. Good tool when you need to host your PowerPoints as online modules for your students to access! HTML5Point runs on any PowerPoint version for Windows later than 2002. You could take a free trial here, or buy the paid version. If you are looking at creating interactive presentations, Raptivity could be the right choice. Raptivity’s 190+ customizable interaction templates can infuse life into your otherwise dull and static PowerPoints. You could present your slides in the form of a flipbook, a game, an explorative scenario, a timeline, or even as a quiz. Raptivity is essentially a desktop based interactivity building tool but it comes with a PowerPoint add-in to enable insertion of interactions into slide decks. You could start a fully functional trial of Raptivity here, and choose to pay up later. Opazity builds on the power of curiosity to catch, hold and maintain your audience’s attention. It provides a tool to blur part of your slide in slide show mode. You can use it to put the focus on what you are talking about, blur out or reveal backgrounds, make foregrounds stand out, or hide answers to a quiz. Opazity works for any version of PowerPoint for Windows from PowerPoint 2000 onwards. You could purchase it here. Alone or together, the above add-ins provide a great way to create extraordinary PowerPoints that catch eyeballs, engage learners, and educate them simultaneously. PowerPoint is quite capable but combining it with such tools takes it a notch higher. We shall be glad to hear about your thoughts and experience with any of these tools. You could leave a comment below. Do you develop your Raptivity learning objects in a team? Or, are you an individual contributor who develops a lot of content and then uses it in Raptivity? In the former scenario, you might have a subject matter expert in place to develop the content; there could be an editor to proofread it; an artist dedicated to designing graphics; and a course creator or a developer who is actually responsible for putting it all together in Raptivity. With so many people involved, the process to create even a simple learning module could consume a lot of time. Whereas in the latter, since the onus of everything is on you, you could be struggling to maintain your content repository in a way that is easier to understand and decipher. There might even be situations when you have to seek course content from your customers,or subject matter experts. Keeping both the above scenarios and the challenges associated with them in mind, Raptivity has decided to launch interaction specific prep sheets to make their product usage easier. These prep sheets will outline all parameters available in specific interaction templates, along with providing placeholders for listing your content. These would be available as 'free-to-download and use' word files. You can use them to capture course content from various stakeholders, or to organize your content better. Even if your team members/external stakeholders are not acquainted with the Raptivity interface, they can still visualize the interaction outline through these prep sheets, and can share the course content accordingly. These prep sheets will simplify your content organization process. If your team needs to create course content in multiple languages, you could directly translate the interaction prep sheet content. This is surely one hassle-free way to create courses in multiple languages. When there is a need to reinforce core concepts, facts, or vocabulary, use Flash cards. You could effectively use it as a presentation aid or even a quick quiz. Questions/Cues can appear on one side of the Flash cards and corresponding information or answers can appear on the flip side. You could download the Flash Cards prep sheet here. If you wish to reproduce the experience of reading and flipping pages, use the eBook interaction. This interaction, with its flipping effect, and the use of images and videos, makes the whole experience of reading very interesting and close to real life. Download the eBook prep sheet here. If you intend to present something in the form of a screen by screen module, use the Lesson interaction. It allows you to describe the different elements on screen using onscreen text, images and voice over. You could even use it to create guided tours of several application screens. Click here to download the Lesson prep sheet. Lets us know if you found these prep sheets useful, so that we can build even more. 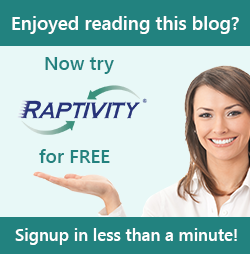 You could drop a note to us at info@raptivity.com, or share your feedback through comments below. As per a research by the National Center for Biotechnology Information, you have merely 8 seconds to engage your learners before they move on to the next thing. So, use the first 8 seconds to your advantage and get down to business in a unique way. Run a trivia related to your subject, share a humorous fact about it, or open up the subject discussion using a video or game. For every 10 minutes of instruction, allocate 2 minutes to your students to process and respond to it. Have them ask any questions they may have, or make them write what they have learned. You could even open up peer discussions in these 2 minutes. This is a very basic, yet effective tip for improving classroom engagement. 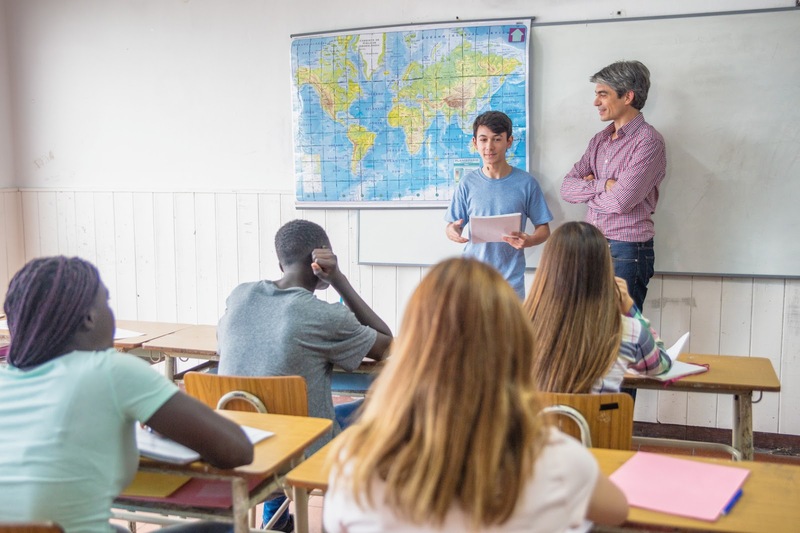 Activities that require students to respond to questions by moving around in the classroom, indulge in some physical tasks, role play, or even write on the whiteboard, keep them engaged. Students must be trained on the procedure of procuring information rather than simply consuming. They need to ask more questions, so provide them with abundant opportunities to do so. Encourage them when they ask more questions and reward them when they think out of the box. Make this ritual a part of your classroom, and you might not need to wait for assessments to see the results. ‘Why am I learning this? This is a question that every student has. ‘Because it is in your syllabus’, is not the best answer. Giving them examples of how they might apply a skill in real life, makes it more relevant and engaging. Technology distracts students, right? Well, why not harness it to engage them. Make place for digital tools in your classroom. In each of your sessions, designate a fixed time for gadget based exploration and learning. Use relevant apps for hands-on learning and for inculcating creativity. Let students use online tools to complete assignments. Using informative and interactive videos, animations, and strategically designed games is another excellent way to generate curiosity as well as interest in students. This could also help you provide feedback in the moment of learning. The connected learning approach is keyed to the abundance of information and social connection brought about by the digital media. An example of connected learning may be when a teacher asks students to take pictures of any new words they find outside the classroom, and as a monthly activity, and the entire class goes through the compilation of these pictures from all students. This is an amazing way to increase their vocabulary and keep them engaged in the subject while retaining their everyday technology connection. Hope you found our compilation of student engagement strategies useful. Do let us know what approaches you use to keep the engagement levels high in your classroom. Many educational institutes rely on Raptivity to make their classrooms more engaging by using technology. Raptivity provides a plethora of learning templates across categories like presentations, games, quizzes, simulations, etc., to present your classroom content effectively. To find out how Raptivity can help you maximize student engagement in your classroom, take a free trial here. The learning technology adoption rate has been growing steadily over the last few years. Better, newer technologies and devices have come to the limelight, and people have welcomed them with an open mind. eLearning is also making a paradigm shift to keep up with this changing landscape. 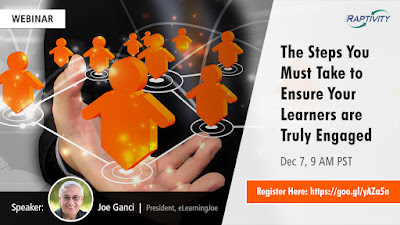 Today, various mediums bring eLearning to the learners exactly as they want it. Interactivity has taken different forms, growing bigger than ever. All this is facilitated by new technologies and trends making their way into mainstream. Let’s look at some of these trends. 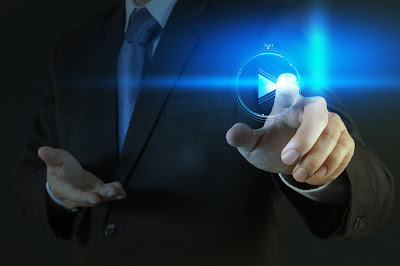 Videos are the de-facto standard of communication today. If a picture speaks a thousand words, a video definitely speaks a million. Interactive videos take this experience a level higher as they transform the traditional video experience from a monologue into a dialogue. With their power to turn passive content into an active experience for viewers, interactive videos tend to fetch a larger number of views compared to traditional videos. Interactive videos should ideally be capable of providing skip navigation, informative overlays and quizzes, feature engaging user interactions, and also help a viewer learn what’s important. These videos can be completely personalized according to the viewer’s requirements. Micro-learning is already mainstream. People have been talking about it for long and have started using it considerably to enhance their eLearning courses. But, it is still broadly understood as short videos or clips. In reality, micro-learning can very well be a short learning nugget in any form - an interactive video, a short game, quiz, an interactive infographic, or even a small eBook. With increased smart-phone usage, the demand for micro-learning will only increase in 2018. The number of global smart-phone users is growing year on year. With this increase, mobile learning is on the rise too. It is convenient, and also increases user reach by offering flexibility and accessibility. Learners can make use of their time during commute, mundane activities, or whenever they don’t have access to a larger screen. Learning providers now take it as given that their modules need to be accessible across multiple devices. With mobile devices coming up with an inbuilt AR support, learning on mobile will go up a notch higher. It will not just be about presenting any content, but letting users experience the content. There is a lot of development on the 3D front too. 3D images and videos are on the rise, and could significantly contribute to enhanced mobile learning experiences. The learning systems and platforms that have been used till date for any kind of assessments and recaps have fixed logic that has been keyed in. For instance, say there is a question that a course creator has framed, based on one of the modules on botanical study. It shows the picture of a rose flower and asks ‘Which flower is this?’ Now, the course creator has programmed a correct answer option for it in the module. It says ‘This is a rose.’ Today, if a learner undertakes such an assessment question and responds with anything other than the programmed answer, it is considered wrong. However, with AI becoming main-stream, if a system is built that could evaluate learners through intelligent logic rather than what is framed, that could make learner interactions and the learning process fantastic. In such cases, if a user responds ‘This is Rosa’, that would be correct too, since Rosa is the scientific name of rose. This information need not be present in the course module at all, but the system would be intelligent enough to know that this is also a correct answer. The use of artificial intelligence in the learner’s interactions will thus be a very interesting development to watch out for. 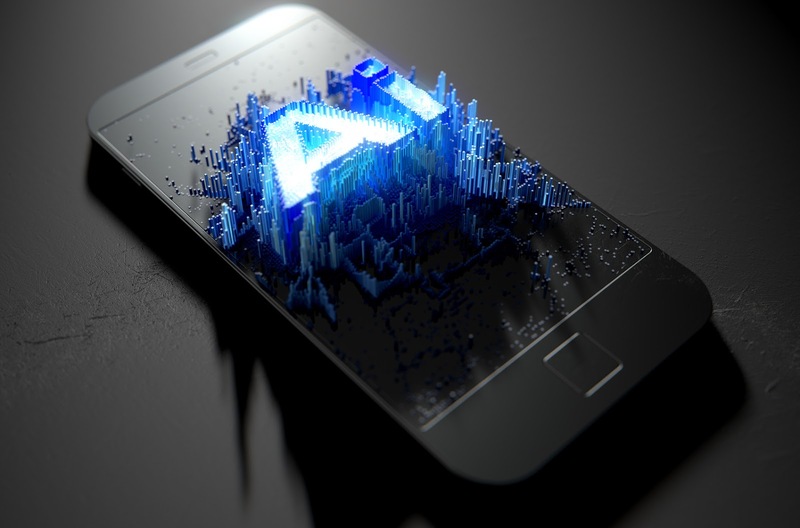 Put simply, voice recognition in any software or hardware is the ability to understand and interpret the human voice – and then it allows the user to either operate a device, or perform an action without any keyboard input. While voice technology has been around for long, its presence in eLearning was never witnessed. However, advances in AI mean that the possibilities of voice-driven learning could finally become a reality. All that learners would then need to do is, to open their course and talk to it. We are excited about these possibilities, but how they shape up is something only time will tell. But for now, let’s wait for a learning technology-driven 2018. We know you have always loved Raptivity for enabling you to create hassle-free eLearning and we wouldn’t want it any other way. The folks in our team are always on the lookout for ways to make eLearning innovative, interesting and easier. We carry out our own research, study market requirements, evaluate upcoming trends and also speak to our customers from time to time to get their inputs on making Raptivity better. During one such exercise, some of our customers showed us how they were able to use a single Raptivity interaction in multiple creative ways. We were absolutely amazed by the level of imagination and creativity of these people. We could not even recognize what Raptivity interactions were used as a base for those samples. This got us thinking if the entire Raptivity community of users could be benefitted by this practice readily! And tadaa, we got a fabulous idea. The team donned its creative hats and also got in touch with these customers to build something called Raptivity Flavors; which in essence means various flavors of the existing interaction templates. We understand that it is not always convenient and quick to think out of the box while creating samples and that’s why many people end up using the interactions exactly how they are designed by default. What we are going to do, is, use the elements of the same interaction in different ways so that you get new ways of using the same interaction model. To give you an example, you would be able to use Flash Cards to build an engaging presentation, or an exciting quiz, or reinforce key points of a topic in picture. All these options would be readily available as multiple flavors of the Flash Card interaction model. Basically, one Raptivity interaction will have many flavors. More the interactions, even more flavors. Does this sound interesting? Well, we are going to make it even better. We would love to incorporate your ideas in the flavors release. If you are one of those creative masters who always likes to use Raptivity in innovative ways, show us your magic. Send your interaction samples to info@raptivity.com by July 24, 2017, and the best ones will be featured as distinct flavors in Raptivity. Also note that we will not reuse the content of any of your samples but just take creative reference from the way the sample(s) have been built. So get set to witness the charm of Interaction Flavors by Raptivity. Stay tuned for more updates!